The trumpet-shaped, yellow blossoms of the deciduous Caribbean trumpet tree (Tabebuia aurea) appear briefly in a spectacular display of color. You may find this easy-to-grow tree listed incorrectly as Tabebuia argenta, meaning silver Tabebuia, a reference to its showy silvery-gray leaves. It’s also incorrectly called Tabebuia caraiba, meaning Caribbean Tabebuia, a reference to its tropical origins. You can grow it in U.S. Department of Agriculture plant hardiness zones 10. In addition to its silvery foliage, the Caribbean trumpet tree has attractive silvery, corky bark. It grows from 30 to 40 feet tall and often leans. Its branches and trunk are typically contorted with two or three major trunks or branches dominating an asymmetrical crown. From five to seven oblong silvery-gray, oblong leaflets, roughly 4 inches wide and 11 inches long, fan outward like the extended fingers of a hand, a form botanists call palmate. 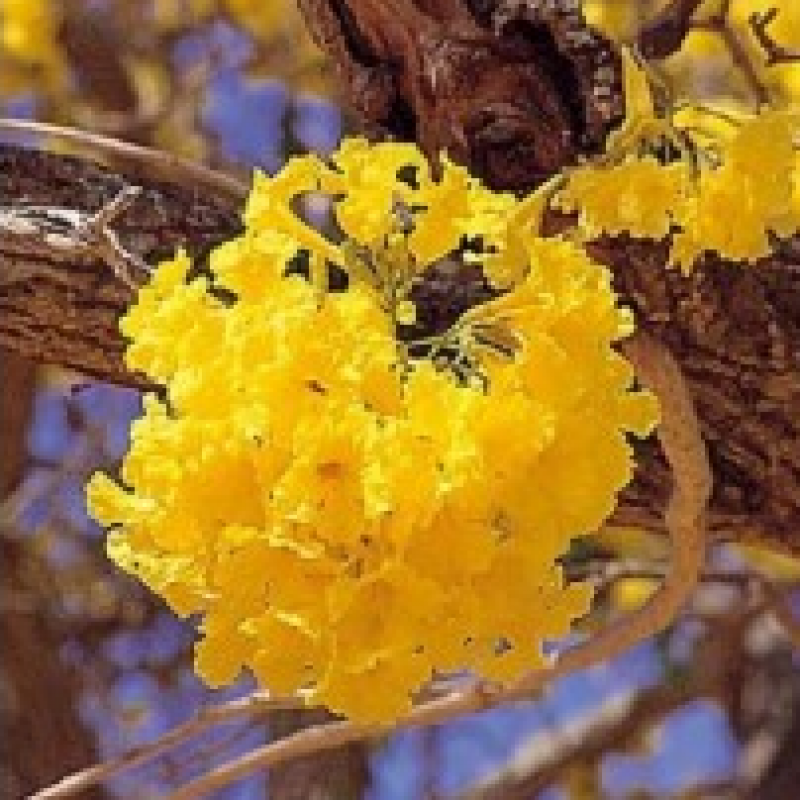 The tree's bright yellow, funnel-shaped flowers are about 1 inch wide and 3 1/2 inches long. Caribbean trumpet tree typically blooms in late winter or early spring, depending on the local climate. It begins blooming when the leaves start to drop. The most spectacular blooming occurs after a tree has lost all its leaves and its branches are bare. It usually blooms for around 16 days. Some trees have an additional, shorter period of flowering in summer, but they do not lose their leaves. Caribbean trumpet tree is generally easy to grow. It likes full sun and will tolerate salt and drought. If you plant more than one tree, space them 12 to 15 feet apart. You can encourage blooming by cutting off water for six to eight weeks to encourage leaf drop in late winter or early spring. Water it freely during the growing period. It works well near a deck or patio or as a lawn tree. 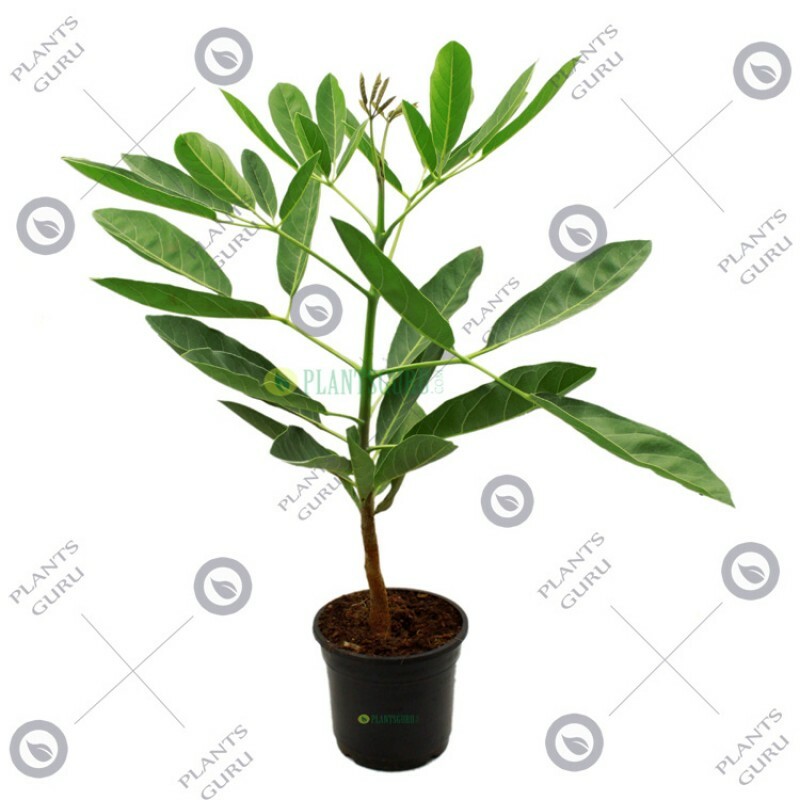 You can grow Caribbean trumpet tree in containers and also train it as a bonsai.